Develop automation for repeated tasks like patching, deploying fixes, identifying issue patterns and fixing them programmatically. Automate/Scripting routine jobs with Shell, Perl, and SQL*Plus. Report generation using SQL & Oracle APEX. Minimum 5+ years of experience in Enterprise level IT/Systems management, Scripting, Automation tools development. Previous experience on Cloud Services and technologies is required IaaS, PaaS, SaaS. Hands on experience in developing Monitoring solution for Oracle Database, Applications, Fusion Middle Ware and Oracle Enterprise Manager are highly desirable. Automate with Java, PL/SQL, Shell, Perl, and SQL*Plus. Very good Development Knowledge using PERL, SHELL Scripting (Unix & Windows), Java, Oracle PL/SQL & SQL package/function and ADF/J2EE development skills. Proficiency in Perl, Shell, Python and C scripting (must-have). lans, organizes and conducts business process reengineering/improvement projects and/or management reviews of court-wide significant or specific to a court division. with minimum of 3 yrs exp. preferably mobile app too able to run cross-device/ browser testing happily & successfully. Passionate about owning Quality for operating massively scalable systems? If so, here is an opportunity tailored for you. Bachelors degree (or higher) in computer science or a related field. 4+ years of software QA experience preferably. Experience in writing test plans, test automation, and test cases. Background in test automation using Java and applicable languages. Working knowledge of common automation frameworks such as JUnit or TestNG. Ability to understand technical specifications and analyze log files. A Data Scientist is responsible for delivering deep data-driven analyses with insights that drive the business. He/she would use a combination of analytics, data visualization, and machine learning to identify gaps in current solutions as well as prototype new algorithms that close the gaps. The ideal candidate should have strong experience in dive deep analytics and data visualization, a thorough knowledge of statistical techniques and strong breadth in machine learning. The candidate should also have good programming and design skills to implement machine learnings algorithms in practice on massive unstructured datasets. Masters in Machine Learning, Statistics, Optimization or Applied Mathematics. Relevant industry or research experience. Hands-on experience in predictive modeling and analysis. Strong skills in problem-solving, programming and computer science fundamentals. We are looking for Senior/Lead AI ML Engineer (Machine Learning) opening with us in Bangalore Pune. Minimum of 5+ years of development experience and 3+ years of solution experiences at high tech companies. Hands-on experience on implementation of Chatbot for large-scale implementation. Hands on experience in Machine learning techniques in Python/R. Knowledge in NLP frameworks like NLTK. Knowledge of various Machine Learning Algorithms such as Supervised, Unsupervised, Reinforcement learning algorithms. Should know the various data preprocessing techniques and its impact on algorithm’s accuracy, precision, and recall. Should have a good understanding of various Chatbot frameworks particularly Dialog flow (api.ai) and Watson, Lex will be added advantage. Experience with bots for platforms like Facebook Messenger, Slack, twitter etc. Knowledge of digital assistants such as Amazon Alexa, google assistant, Siri etc. Experience in Java/Spark added advantage. Experience with HTTP, Sockets, RESTful, JSON API services. Analyzing and resolving new and existing defects & Market VOCs in Samsung Android devices/Models across the globe. Customization and implementation of various requirements of vendors and operators. Programming & Scripting Languages – Core Java, Java, Shell Scripting Operating Systems – Linux , Windows, Android Development Tools and Databases – Android Studio, SQLite SCM and Issue. Tracking tools – Perforce, GIT, JIRA. Strong Python language skills and or Strong Selenium skills. Automation framework development is considered a key skill. Web application performance Tests tools skills. Hiring, Automation QA Engineer from C# Automation background using Selenium. The Automation QA Engineer is responsible for developing automated scripts and works closely with the Automation Architect and other team members to create, maintain and enhance an existing in-house automation framework. Test Automation processes and tools. Continuous Integration tools like Jenkins is preferred. Various C# libraries used to enable the automation framework. Strong knowledge of C# for automation. Proficient in browser Automation using Selenium is a must. Advanced degree in Computer Science or related degree a plus. Minimum 3+ years of experience test automation. (Selenium, SilkTest, QTP etc.). Worked on DevOps teams. is a plus. Able to develop QA processes and procedures. Detailed-orientated and strong analytical skills. Deep experience with front-end and back-end testing applications. This is Britain from CBSI India Pvt. Ltd, Bangalore and we have an urgent opening for our Esteemed Client. A clear understanding of Software Development life cycle and process Oriented. Would be great if worked on Agile or Continuous Delivery (CD) based projects before. Should have exposure to Oracle SQL, the fundamentals of RDBMS are clear. Good to have experience in writing Sqls, stored procedures and functions. Experience in Android-specific application development. Min. 4 years of software programming experience with 2-3 years in Android application development, with sound knowledge of Java I/O, Collections, Algorithms, and well-known application frameworks. We have an excellent opportunity for Java professionals – Chennai. Please find the below company profile, job Specification and let me know your interest in the opportunity. Java developers with spring boot. As a C++ software developer, you will be involved in extending the Variants functionality of Simulink. In this role, you will enhance the variants capabilities and help evolve the architecture and implementation for simulation and code generation capabilities. A bachelor’s degree and 7 years of professional work experience (or a master’s degree and 5 years of professional work experience, or a PhD degree) is required. Experience with Object Oriented Design. Java engineer with good technical knowledge and passion for technologies. You will be part of the cross-functional team and will meet/understand the product/customer requirements. In the Micro Focus SW APM team, you will develop and provide quality code as a part of each release. On a daily basis you will analyze, design, program and debug software products used in local, networked, or Internet-related computer programs, primarily for end users. Extensive experience with multiple software applications design tools and languages. Core Java is a must: OOPs Concepts & Patterns, Algorithms, Multithreading, Data structures. Familiar with – J2EE (Servlet, Struts, HTML) Advantage. Network knowledge and experience in Protocols such as IP, HTTP, TCP, FTP, and UDP. Understand the requirements of the product thoroughly. Analyze and Assess the Work. Work on implementing enhancements on the UI framework and also in Core Java. Expertise in Java Development (up to 2-3 years). Very strong analytical and problem-solving skills. Proficiency in Core Java, Working knowledge on J2EE. Candidate with experience of 4 to 7 years in Oracle DBA. Candidate should have experience on Linux Administration. Candidate should have Knowledge in shell scripting. Should have knowledge in troubleshooting Oracle DBA related issues. Telecom domain knowledge added advantage. Analysis and debugging of runtime Java errors to provide resolutions. Developing complex PL/SQL and SQL codes. PL/SQL Developer with 4 to 8 years of experience, with strong hands-on development, analysis, and debugging skills. Smoke testing of deployed product catalog, providing hotfixes as and when required. Supporting all levels of required testing, ensuring the highest level of quality. Supporting all the stakeholders to achieve the goal of the project. Strong hands-on advanced level of PL/SQL, SQL. Preferable to have hands-on Java, J2ee, Servlets, JSP, Spring(Dependency Injection, Transaction), Hibernate(recommended), Rest services, Weblogic (recommended). We are seeking a senior engineer to join our high performing, agile development team located in India. The team is responsible for development and maintenance of the “Oracle Advanced Support Platform”, a fully integrated, ITIL-based framework that supports the delivery of multiple Advanced Customer and Support Service offerings from Oracle. Expert programmer in Core Java and J2EE, Experience in Spring Boot, Restful web services / microServices. Proficiency with SQL programming, experience working any RDBMS, preferably Oracle / MySQL. Knowledge of Rest API Automation frameworks like Rest Assured. Have spent time as part of an agile development team (preferably Scrum) in an environment using continuous integration and a commitment to automated unit testing. Experience working with systems monitoring and management products is desirable. We are looking for Manual testers who have tested HCM products earlier. People with HCM experience in implementation who would want to pursue a career in QA. You would be working in various areas of HCM like – Global Human Resources, Performance Management, Payroll, Benefits, Goal Management, Absences, Talent and Succession Management. You would be responsible for developing, applying and maintaining quality standards for company products with adherence to both internal and external standards. You would be involved in developing and executing software test plans. Analyze and write test standards and procedures. Maintain documentation of test results. Analyze test results and recommend corrective actions. As a member of the technical/process QA division, you will develop quality standards, control methods and theories to be utilized to access product quality. Develop standards and procedures to provide quality guidance methods. Oracle is hiring for Java Developer for Bangalore location. Only shortlisted candidates would be invited for interview on 27th Jan 2019(Sunday). In addition to relevant experience, we are looking for candidates with strong aptitude, problem-solving and design skills. Candidates with minimum 5+ years experience in Java/J2EE. Good academic background in CS or related disciplines from Tier 1 Institutes is invited. We are hiring for Java Developers for Oracle Financial Services Softwares, Bangalore. Selected candidates will have the opportunity to work with the product the development division of Oracle Financials. Ideal candidates should have a good experience with Banking domain product development/ consulting. Strong knowledge of object-oriented programming concepts and principles. Expert level hands-on knowledge of core Java. Strong knowledge of UI screen development. Strong knowledge of JEE technologies and specifications such as JPA, Servlets, JSP, JSF etc. Strong knowledge of JSE / JEE design concepts and database modeling. Should possess good experience in Java / J2EE and AngularJS. Should be in a position to join us in short notice. Proficient in object oriented development and Java Enterprise concepts. Experience in working with Java and databases. Spring Platform (Spring MVC, Spring Boot, Spring JDBC). Experience in development of Web Services/REST/SOAP/WSDL/XML/SOA. UTC Fire and Security India Ltd. 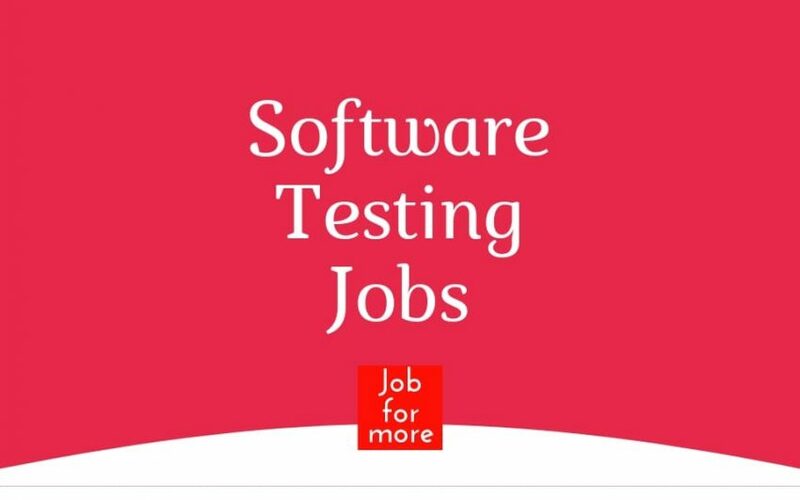 The Software Engineer will be responsible for functional and performance validation of web applications in system test, staging and production environments. Candidate must be able to create and execute test plans, test cases based upon functional and product design specifications and report results as per standard policies and procedures. Design and develop reusable Angular modules. Web Development (Angular) 60% and 40% Backend (C#, Restful Web Services) development. Interface with RESTful web services with OAuth, JWT. Working within and improving upon a Continuous Integration environment. 5+ years of intensive Angular UI development experience under Agile development life cycle processes and tools. In-depth understanding of Angular Templates, Controllers, Data-Binding, Dependency Injection. Experience deploying applications into Container frameworks, Docker, Windows Containers, Kubernetes. Experience developing offline Web Applications. Design and develop reusable Angular module libraries.